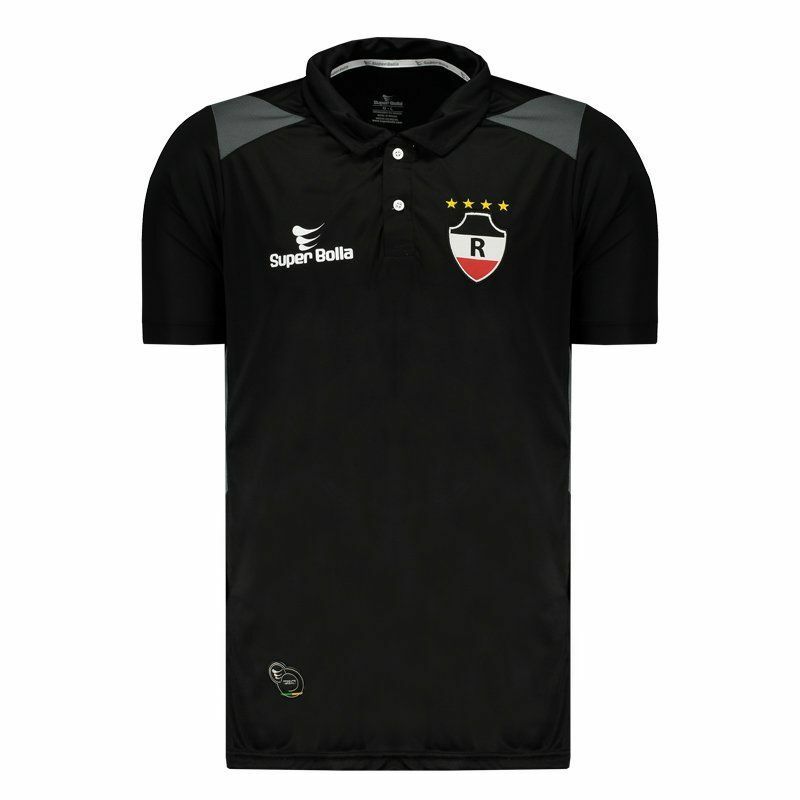 Made by Super Bolla, the polo shirt worn by the players of the River do Piauí during the trips in 2017 is the right choise for fans to use on a daily basis. The piece is made in lightweight polyester, presenting soft fabric and excellent trim to the body. More info. 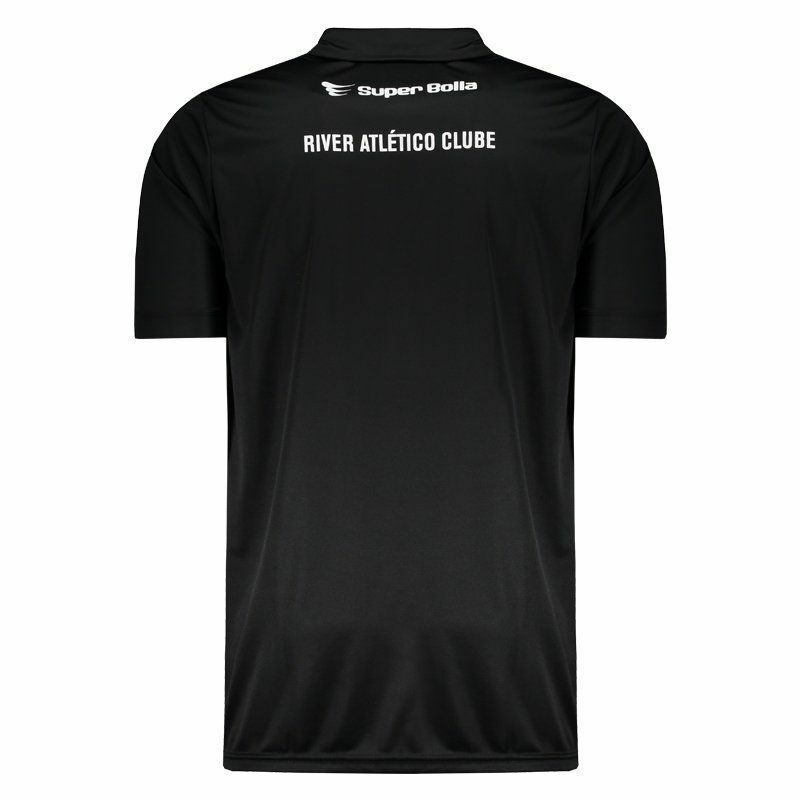 Made by Super Bolla, the polo shirt worn by the players of the River do Piauí during the trips in 2017 is the right choise for fans to use on a daily basis. The piece is made in lightweight polyester, presenting soft fabric and excellent trim to the body. Its design is made up of black with leaded parts. 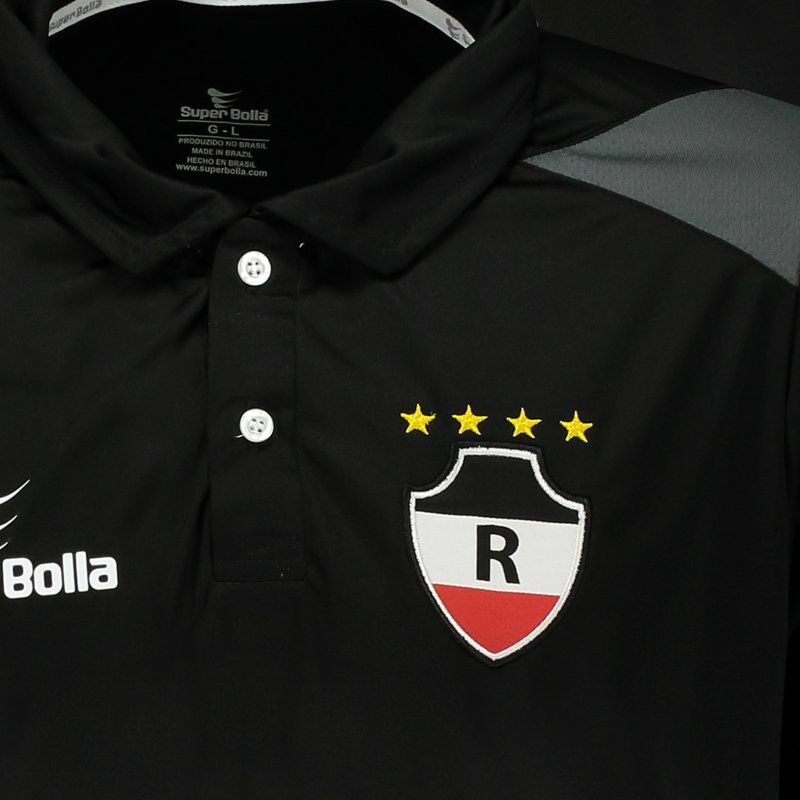 Bring the team's embroidered badge on the left side of the chest, on the opposite side, the logo of the supplier's brand is printed in white. 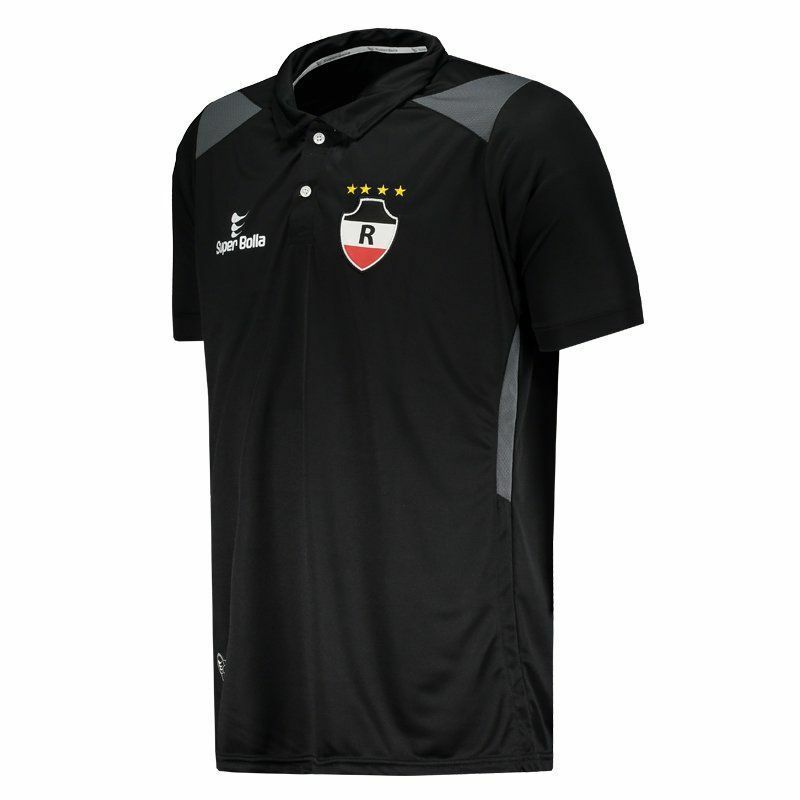 In addition, it has short sleeve and its collar is polo with buttoning. Finally, on the back the club and brand name are seen printed below the nape of the neck, complementing the details of the product.